While not known for its windmills a few former mill buildings make very obvious landmarks around Guernsey. From the Vale Mill to the structure in St Martin's that is now a jewellers and now a landowner in St Saviours hopes to make another one. 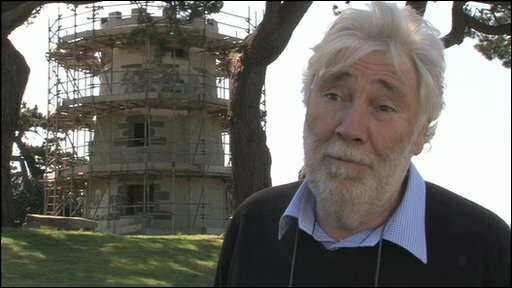 Ian McKeller owns the estate that looks over Perelle from Le Mont Saint and on his land is a now dilapidated windmill he hopes to return to its past glory. He said they have "just been patching", while awaiting planning permission. Internally Ian hopes to transform the four story tower into a two bedroom home, but it is the work he hopes to do to the outside that will be more impressive. 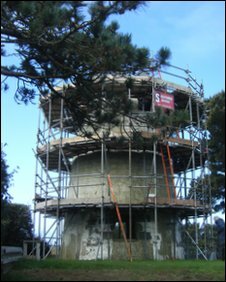 Ian explained: "It's an old cement mill going back to the 1800s that's been a bit derelict and we are trying to put it back to its original condition, with sails, and get it back to its original glory." To do this Ian searched for historical information on the mill but found it hard to find any. He said: "We've not found anybody who really knows anything about it, only what we've gone back in history and tried to find out." A clue about one of the historical use for the mill came from the fishermen who still moor their boats in Perelle Bay: "We've met a few fishermen who tell me they use it as a marker when their coming into Perelle." So Ian is still looking to find out more about the mill, if you know anything about it let us know by filling in the form below.